Mama owl wakes her little one for a nightly flight in the forest. She shows him the beautiful souls that populate it, the animals that find the chance to throw a gorgeous feast without being threatened by the presence of men. 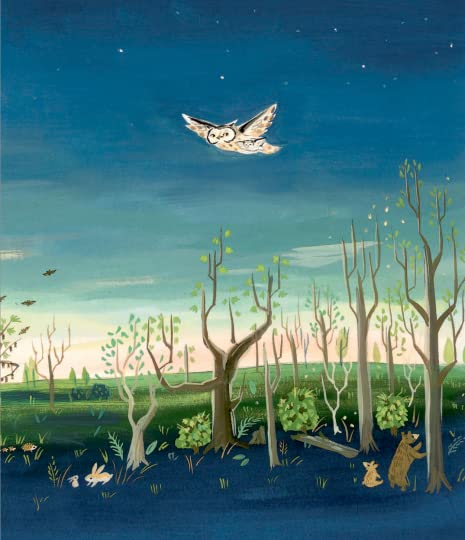 Hedgehogs, foxes, rabbits, bears, bats, fireflies. But the little one is frightened and uncertain. Who will be there to catch her if she falls? Who will fly with her if her friends are away? The mother owl shows that she will be close by, helping her young one, always watching, always protecting. And when she’s not there, the young owl will be ready to fly into the beautiful world with certainty. She will be prepared to face the darkness and the flights, wise and confident like her mother. A beautiful book about motherhood, confidence. About our ever-present guide and protector. Our mother, our source of comfort and love. 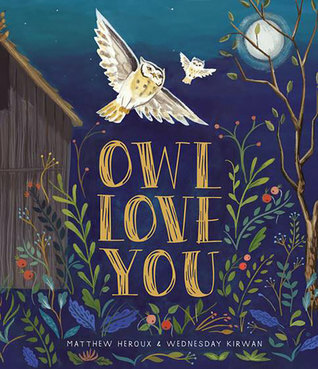 A book about facing our fears as children and learning to spread our wings in the darkness of forests that are far more unwelcoming than the habitat in our story, Told in haunting rhyme by Matthew Heroux and in beautiful, vivid illustrations by Wednesday Kirwan. Another book for my younger classes! Many thanks to Cameron + Company and NetGalley for the ARC in exchange for an honest review. This looks and sounds delightful! Thank you so much, Callum! It is definitely a beautiful story.